Why did you pick this new theme? Well, because we never really picked the old theme, we just found something that worked during our month-long melange of panic, excitement, and delirium in 2015. Seriously, absolutely none of us was certain of what was going on during that period of time. I think at one point I briefly considered converting to whatever that religion is that reverse penguins. Well, if you’re reading this right now? Yeah, probably! Otherwise… well, I guess not. Or maybe we reverted. So you tell me. I hope so! What advantages does this new theme have over the old one? Lots! I assume. You’re talking to someone who had a car for a year before realizing that there was no need to be scared of changing the radio presets, I have no idea what this new thing is capable of and at this point I’m terrified to ask. Why did you choose this specific color scheme? We have already said way, way, way too much. Is every What Are You Playing going to be like this from now on? Probably not, I was kind of snippy about ruining the usual streak of this feature anyhow. ​Andrew Ross (@dengarsw): I’m super excited about the new Pokemon Go raiding event despite having those Pokemon already (and nearly full capacity to boot! ), so that’s happening, as well as hopefully a trade session of ten to help me clear space. I may also play some Undertale for the game’s birthday on Saturday. Brianna Royce (@nbrianna, blog): So here’s the thing. If the site overhaul has gone well, I’m going to be playing the harvester game in Star Wars Galaxies because I really neglected my harvies the last week or two while we worked, and there’s nothing sadder than pixel mining installations that are literally on fire because I forgot to pay their maintenance. However, if it’s the site that is on fire, I’ll be playing a brand-new online minigame called Everybody Panic instead. Eliot Lefebvre (@Eliot_Lefebvre, blog): There’s not actually a lot of certainty about what I’ll be playing. Sure, I’ll dip into Final Fantasy XIV, but the patch is out on Tuesday and I’ve accomplished most of my before-patch goals. I’ll tool around a bit on World of Warcraft, maybe. There’ll be some things to do in Granblue Fantasy. But for most of my time? Honestly, no idea just yet. Justin Olivetti (@Sypster, blog): It would certainly be nice to hit 120 on a character in World of Warcraft one of these days, but I’m trying to diversify my gaming time with other titles like Dungeons & Dragons Online and The Elder Scrolls Online. Also, I’m logging into WildStar to pay my respects. 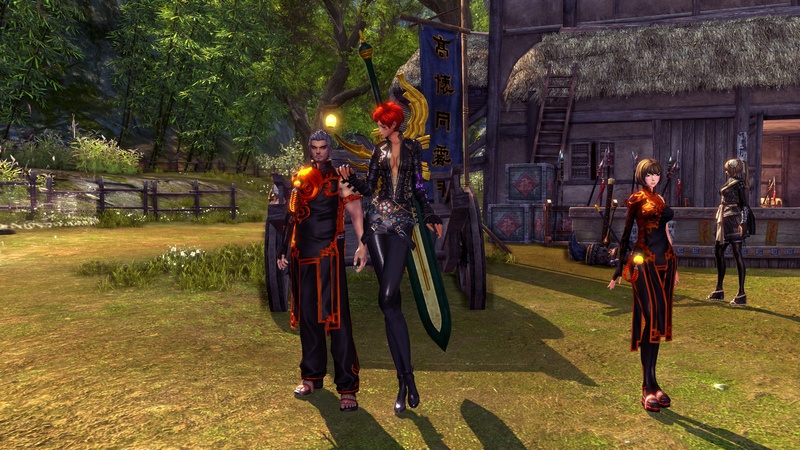 Previous articleThe Daily Grind: When do you know it’s time to return to an MMO? Other than some Destiny 2, i am not really playing any other MMO at the moment. I find that i’m either bored of everything, or just generally apathetic towards what’s on the market. It doesn’t help that work has been super busy and i haven’t had much chance to actually dive into an MMO. I got the vanilla WoW bug again after being relatively disappointed with the expansion. I’m really hoping we hear some news on the official servers at BlizzCon this year, because i’d hate having to jump into yet another about-to-be-shutdown private server..
Not an MMO, and not even a video game, I played my first game of Gloomhaven last night. While it’ll take a few more games to get everything down (I kept forgetting about the Infusions, and I’m sure I forgot to mark an XP or two), the game is absolutely fantastic (and massive once you step back and take a look at it). If you are a fan of board games, fantasy games, legacy games, and long campaigns, I cannot recommend Gloomhaven enough (its basically a really long D&D campaign in a box, with nearly 100 scenarios in the book, 6 playable classes with 11 more to “unlock” as you play through the campaign, and a very robust system to allow characters of varying levels to play together, plus the world and all of the decks evolving over time; I could go on and on for ages). It is a bit pricey, but there is so much in the box that I would say it justifies the price. Been playing a lot of Planetside 2 this week, really enjoying getting back into it. I’ve not been a BAD MMO person this weekend, entirely. I really tried (again) to enjoy and embrace WoW, but it looks as if any love for the game might only be resuscitated by official Vanilla servers. Keeping up appearances in EVE, of course. Finished up Cynosural Field Theory V, so that allows me some decent utility in my corp’s infiltration of some systems we’re keen to claim. 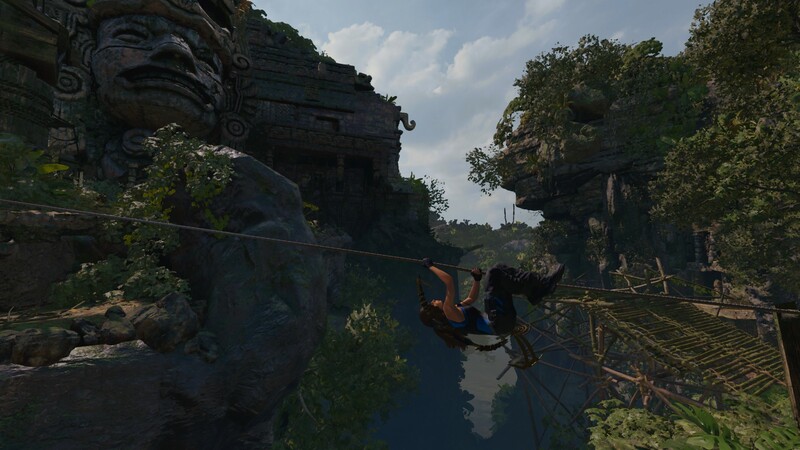 But in reality, I’ve been totally overwhelmed with Shadow of the Tomb Raider. I’d not played the previous two entries in the trilogy, but elected to have a go. It caters nicely to my inclination for a deliberate pace. Since I bought the “Croft Edition”, I’ve been at it for a few days, and have been thoroughly impressed. Wonderful effort by the developers. Fantastic experience so far. I love exploring (in real life as well), so this game is a lovely experience. Shadow Of The Tomb Raider is on my list. Oh yes. I played the previous one and it was a hec of a lot of fun. I was playing the PC port and once I started using my Xbox controller, it was fine as wine. This week: Watching the new MOP expansion rolling in. Seems better thought out than that other game’s (I won’t mention WoW’s name here) expansions that always attempts to fix things that aren’t really broken. Well, it is back to BnS for me. The Warden class dropped on Wednesday so… Yeah, I feel like I have jet lag. Work during the day and play during the night. Sleep? Sleep is for Yeeets! I assume it will be that way until early next week. I should be able to cap by then and move on. Lol. The Warden is Bezerker Tank, which is fun as hell. But, you have to pay attention because your bloodlust can cost you your life. I made another beauty. Not my intention. I was going to make a huge beefy male Gon, but instead, I made the biggest girl Jin you will ever see. Seriously, they are usually a little shorter than average. Mine has the legs of a tall drink of water, and she is about the average height of a Gon. Those of you who have played BnS may understand. But, here. Here is a point of reference. Possibly a tabletop game tonight and/or tomorrow depending upon availability. 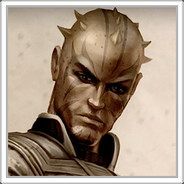 Otherwise, I will be dipping my toes into SWTOR for the weekend leveling and such. Have a good one people of MOP! I like the new look, honestly. It just hits with me. 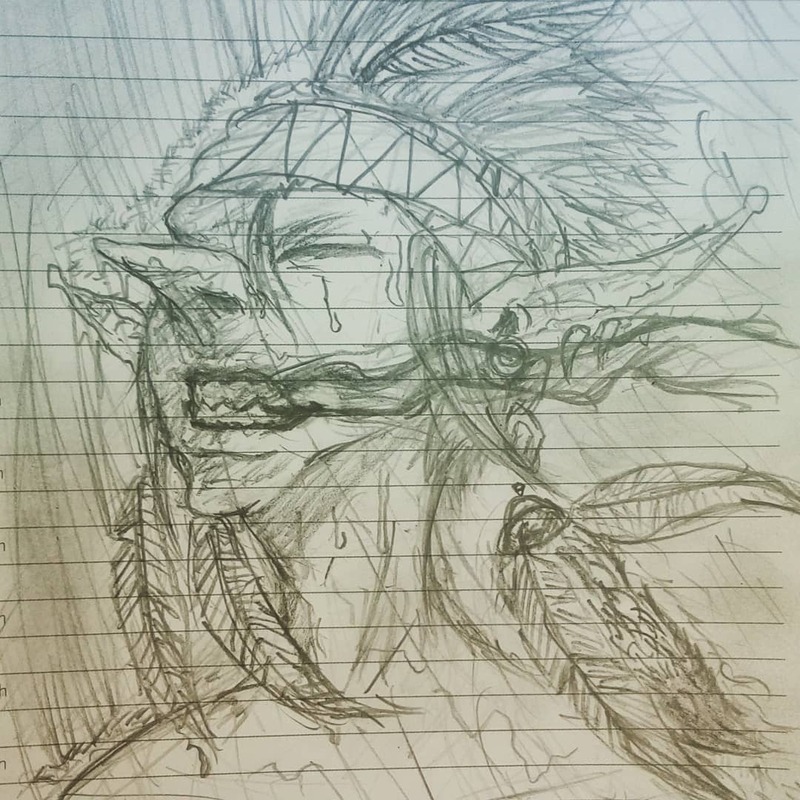 Other than busdrawing, and some vanilla wow, nothing much. 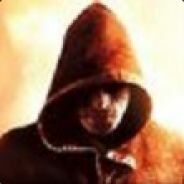 I play TF2. and i’m waiting the Saga PvP server on AoC. And i took my kitties to get their shots today. Got my hand sliced. It’s burning. Gobo Shaman. Why can’t i play a gobo on vanilla? >:C The tech to have the model change is there for sure. I played Dragon Quest XI a bit more this morning. I made a grave mistake by starting a game on the PS4, attached the main living room TV at the same time that football season started. On top of needing to watch every NFL game, the wife finally accepted that she lives in the southeast United States and now needs to watch every college football game as well, so the TV is pretty much taken for the next three months. The PS4 Remote Play via PC seems to work pretty well so maybe I’ll mess with that. But I specifically wanted to play on my couch, not at my desk. Anything else I’ll play will be at my desk, so it doesn’t really matter, except that it does, for some reason, because I’m crazy. Most PC monitors have HDMI ports so you can just steal the console down to your computer room. … Or go buy a cheep Vita and remote play in bed.